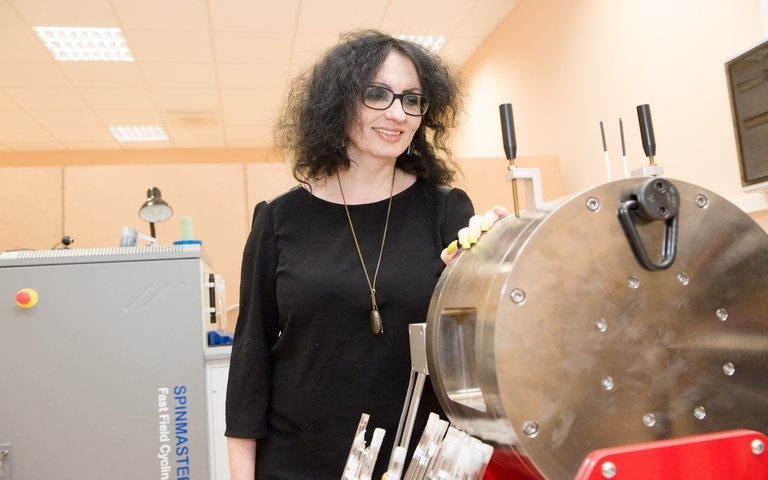 Prof. Danuta Kruk from the Chair of the Relativistic Physics in the Faculty of Mathematics and Computer Studies UWM became a finalist in the prestigious scientific Innovation Radar prize, initiated by the European Commission. The participants competed in five categories. Prof. Kruk was nominated for the award in the Excellent Science category. Ten scientific projects from all over Europe competed in this category. Prof. Kruk was nominated for the CONQUER project competition. Its aim is to develop new contrast agents used in magnetic resonance imaging, which can lead to a significant improvement in medical imaging, making it more effective for cancer detection. A part of the project – the software that facilitates simulation of the contrast effect to be expected for specific molecules and nanoparticles – is being developed in the Olsztyn group. This software also helps to establish conditions to be fulfilled by the molecules to be potentially used as contrast agents. The CONQUER contractor is an international consortium, also including (apart from the UWM) the Graz University of Technology (coordinator) and the Graz Medical University (Austria), Umeå University (Sweden) and Maribor University (Slovenia). The first stage of the competition consisted in online voting for a selected project. The CONQUER project received 2,401 votes from Internet users, obtaining the highest score in its category, more than e.g. the Max Planck Institute from Germany. The final round of the competition took place on 9 November in Budapest. The CONQUER project competed with 19 other finalists, four in each competition category. From those competitors, the jury selected a winner in each category. The winning contestant was Cork University College (Ireland) for a project concerning a new method of visualising different types of body cells.